Christmas eve is the main event for the French, as they celebrate le réveillon (or ‘wake-up’ meal) after attending midnight mass. Here, the aim is go all-out trying new, fancy recipes and impress the family with creative culinary skills. 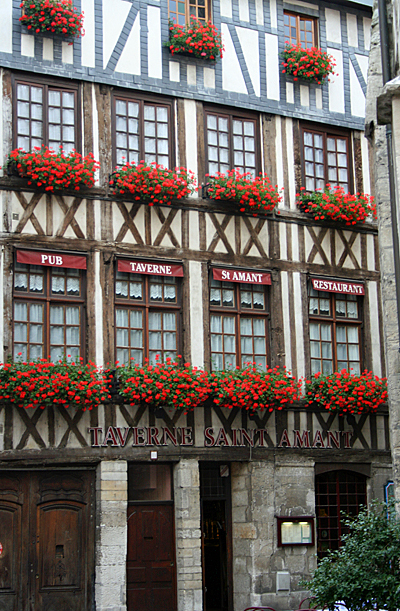 Meats such as goose, duck and partridge are popular, but also refined dishes including filet mignon garnished with truffles can appear on the table in a French household. Christmas day sees entrées include escargots, (cooked land snails) and oysters, and mains can be anything from a traditional turkey, to fish, lobster or boar (depending where you are in France). 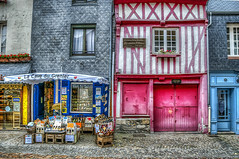 Thinking of taking a short Christmas break to France? Visit www.greatescapes.co.uk for more information. Holland sees food fairly similar to ours grace their tables, including roast pork and game meats, although interestingly, part of their festivities can include grilling and cooking your own meat and veg at the table together. ‘Kerstkrans’, wreath shaped pastry decorated with glacé fruits and filled with sweet almond paste, ‘speculaas’ – spiced cookies, and ‘Duivekater’ which is sweet bread, are also gorged on during this time of the year. If you’d like to find out more about short Christmas breaks to Holland, visit www.greatescapes.co.uk. 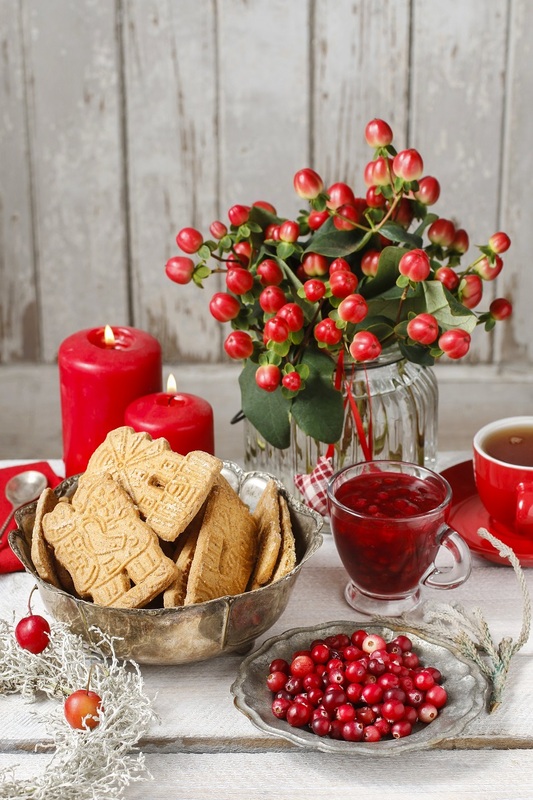 Festive dishes in Italy vary across the different regions, so if you’re visiting this year, you could find some very unusual food at Christmas time. Basilicata, a region in the south of Italy, traditionally sit down to a dish called ‘Baccalà Con Peperoni Cruschi’, or in English – salted cod with fried peppers. In Sicily, you might be enjoying ‘Timballo Di Pasta Al Forno In Crosta’ – which is macaroni pasta in pork sauce baked in a breadcrumb-lined pan. But perhaps the most similar to our traditional dinner can be found in the Lazio region in the central peninsular of Italy, where they like to dig into ‘Abbacchio Al Forno Con Patate’, which is roast suckling lamb with potatoes – now that’s more like it! 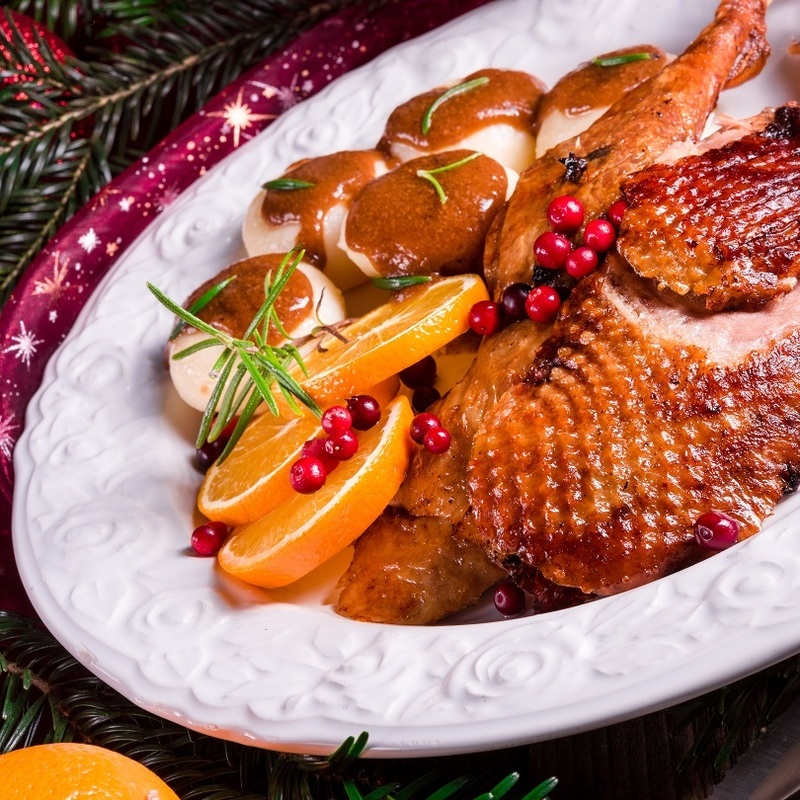 A goose with red cabbage and dumplings can be found on the table in a German household at Christmas, stuffed with a meat or dough filling and served with gravy. Another traditional meat which makes an appearance during the festive season is duck, filled with a variety of fruits, and again served with red cabbage and dumplings. If you fancy dining on a German inspired Christmas dinner, you can find an easy recipe for roasted stuffed duck here. If you venture slightly further afield to the western region of India, you’ll be met with an even more intriguing Christmas menu. ‘Sorpatel’ – a traditional Goan curry made with pork meat and liver, pork vindaloo, and ‘bebinca’, a Goan coconut flavoured layered dessert, typically served with ice cream. Christmas is a magical time in Goa celebrated by both Hindus and Christians alike. The day is commemorated with feasting, fireworks and many festivities all over the state. If you’d like to book your traditional Goan Christmas break, you can visit www.goaexperience.co.uk. Hopefully we’ve given you a little insight into what some other countries might be tucking into this Christmas, so if you start to see new and intriguing festive foods entering our UK supermarkets, you might be more tempted to give them a go and embrace an international Christmas. Categories: Features, Festival and events (France), Festivals & Events (Holland), Festivals and Events (Germany), Food and drink, France, Germany, Holland | Tags: Christmas, dessert, festive, france, Goa, Holland, Italy | Permalink. 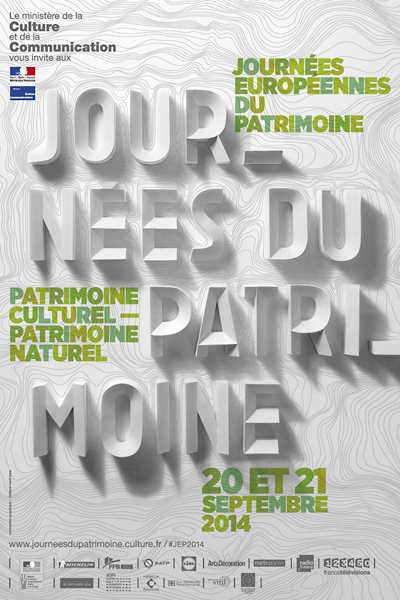 From a guided tour of the Paris metro to baking demonstrations (and tastings) to stone masonry workshops at the Citadel de Lille, there is a huge variety of events taking place on the third weekend in September across the length and breadth of France. 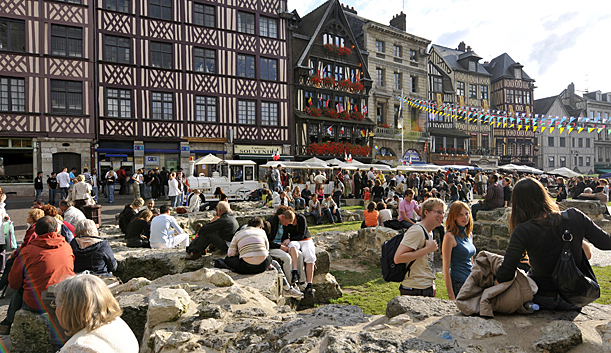 Created in 1984 by the Ministry of Culture and Communication, the European Heritage Days is THE cultural event of the autumn, when there will be a great variety of heritage attractions on offer to visitors. Alongside masterpieces of civil or religious architecture, it also features fascinating reminders of industry and farming, parks and gardens, archaeological sites, literary and military heritage. 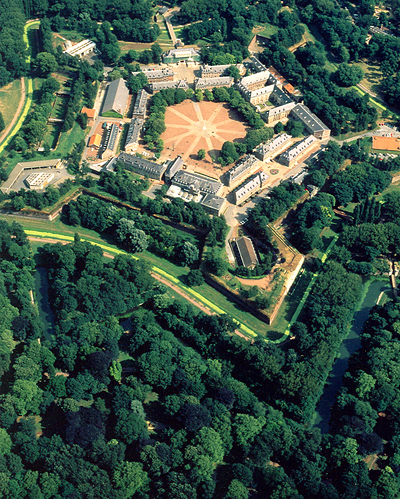 Combining many different initiatives, the European Heritage Days are an occasion for large numbers of visitors to discover public buildings such as town halls and theatres as well as private buildings including villas, castles and even factories. They all open their doors to the public for this one weekend of the year. In addition special activities such as guided tours, workshops, demonstrations and concerts will be on offer in those locations, opened specifically for the event, as well as those regularly opened to the public. 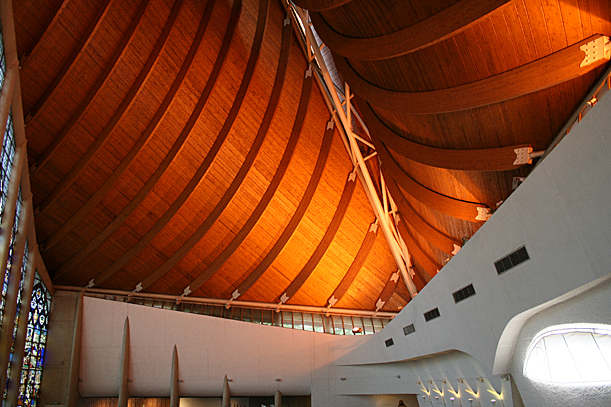 Categories: Festival and events (France), France | Tags: Events, france | Permalink. 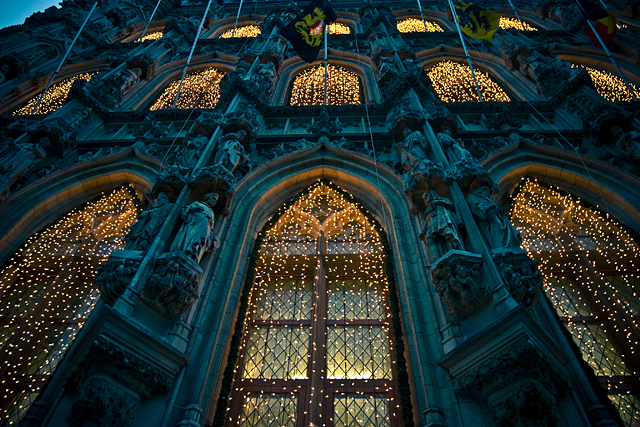 Christmas may seem a long way off and is probably one of the last things you want to think about in the middle of Summer, however, with the provisional dates already released for many of this winter’s festivities the best hotels, in convenient locations for visiting Europe’s top Christmas Markets, will soon fill up. 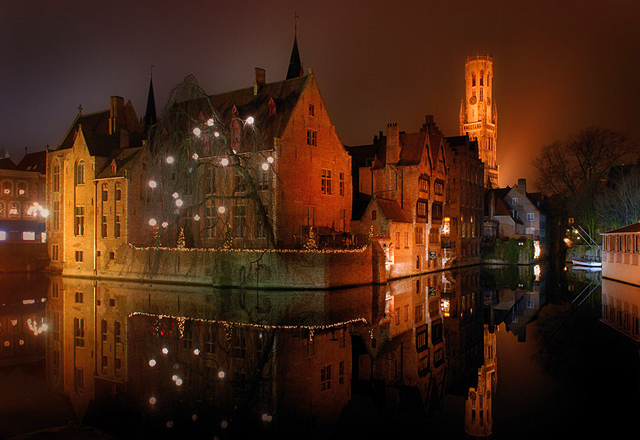 Bruges looks particularly pretty during the festive season and while the Christmas market in many of the other cities listed here may be bigger, the setting for the Bruges Christmas market couldn’t be lovelier. There will be stalls on the Market Square and an ice-rink and stalls on Simon Stevinplein. A festive Christmas market with a huge range of traditional and original Christmas gifts and tasty treats to tempt you, held in Balstraat. A small market from St Bravo’s Square to the Corn Market, with international stalls offering traditonal products from their countries plus mulled wine, tasty treats and live music. Every three years the Light Festival lights up the city with works by international light artists. The city’s nights will become the backdrop for a surprising spectacle, ingenious installations, spectacular performances and beautiful events, all based on light. Stroll through one of the loveliest Christmas market in the country, enjoy an intimate Christmas concert, sip a sparkling winter beer or just get lost in the enchanting streets full of candlelight and conviviality. The market provisionally dates are 13th to 21st December, however, this may be extended. 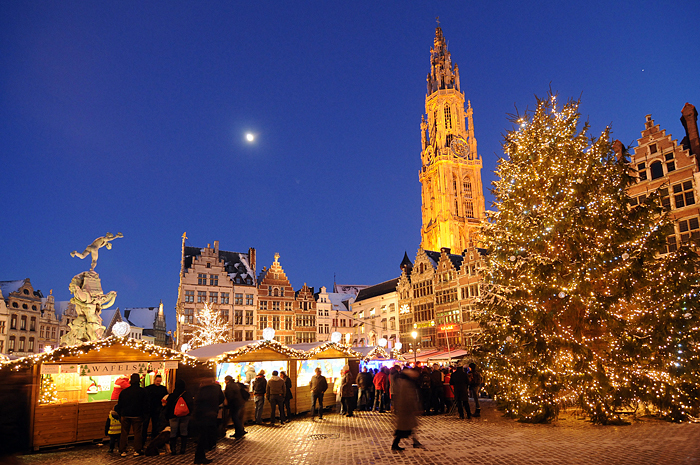 It is centred on Grote Markt, City Hall, IJzerenleen and Veemarkt with food and drink stalls and stalls offering ideas for Christmas gifts. The Wapenplein will be covered with a transparent marquee measuring 2,600 m2 and forming a unique backdrop for a magical winter landscape. Step inside and be amazed by the stunning setting, magical lighting and fairytale decorations designed by Neverland, the set constructors of the world famous dance festival Tomorrowland. Check Winterijs.be for updated details. 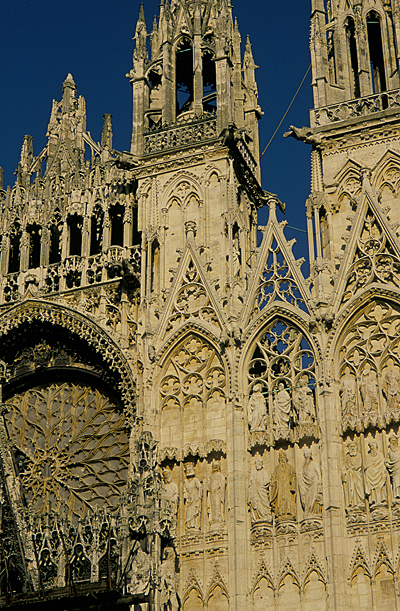 Amiens is one of the the largest Christmas market in the north of France bringing the magic of Christmas into the heart of the city. 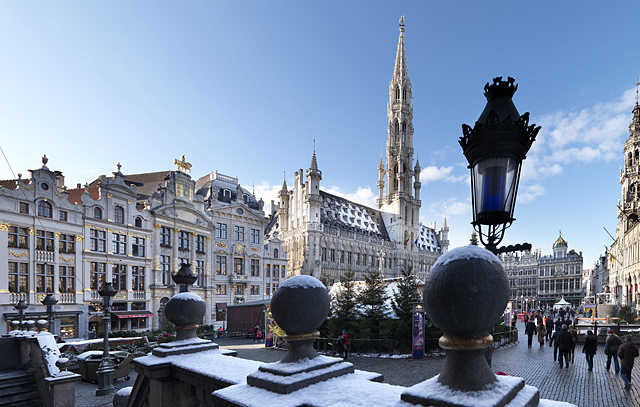 Arras, the town renowned for its tapestries of the late Middle Ages, holds a spectacular Christmas market on the Grand Place with some 60 stalls offering a wide range of arts and crafts and local delicacies. 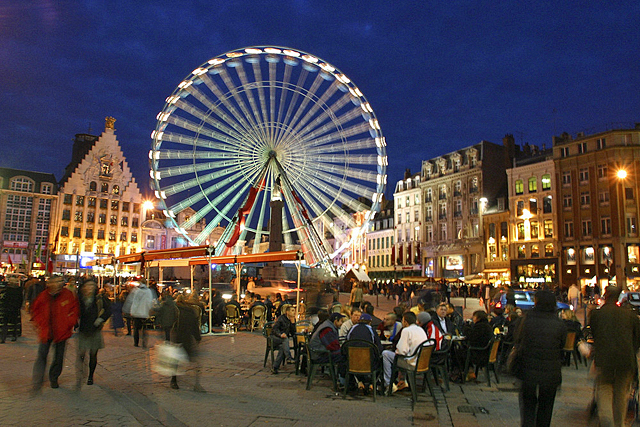 The one of the biggest Christmas Market in northern France is held in Lille and attracts nearly a million visitors each year. 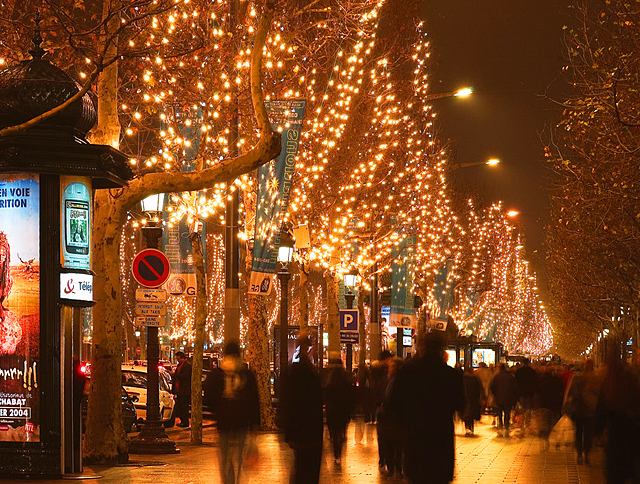 What better time to visit the ‘City of Lights’ than at Christmas. 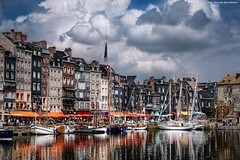 For more details of the various markets and festivities visit About France. 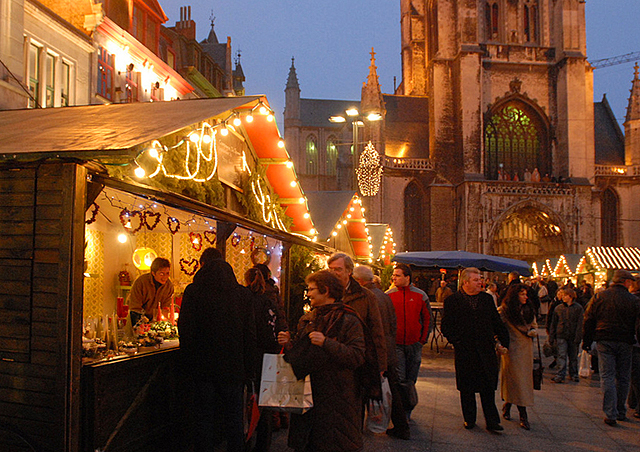 You’ll find around 120 stalls at the Christmas market at Reims. 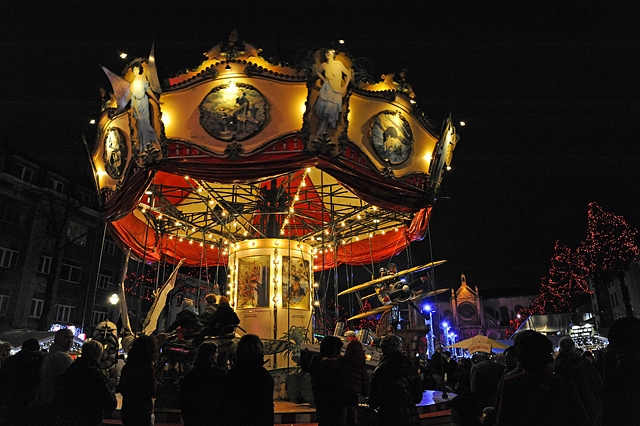 Street entertainers, carol singers and magicians all add to the festive atmosphere. 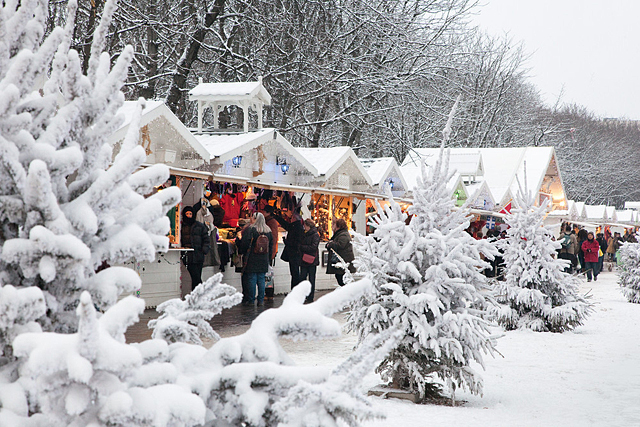 Held in front of the Cathedral the Marché, this small Christmas market has some lovely stalls selling arts and craft and local delicacies plus there are two ice rinks. 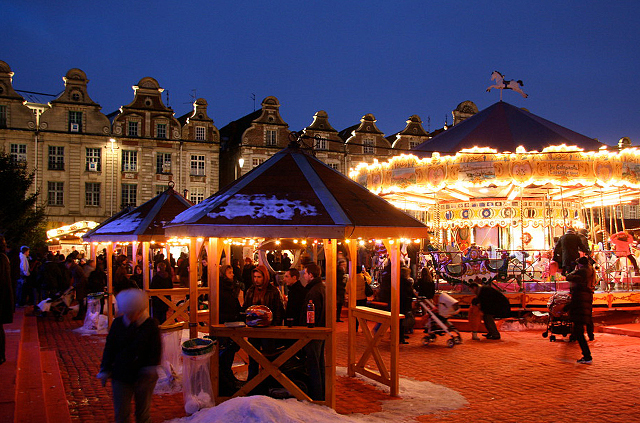 For some great value Christmas market breaks check out our latest newsletter. 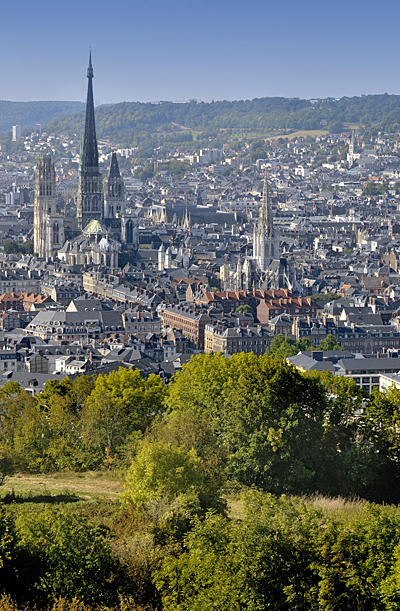 Categories: Belgium, Festival and events (France), Festivals and events (Belgium), France | Tags: Belgium, Christmas, france, Holidays, travel | Permalink. 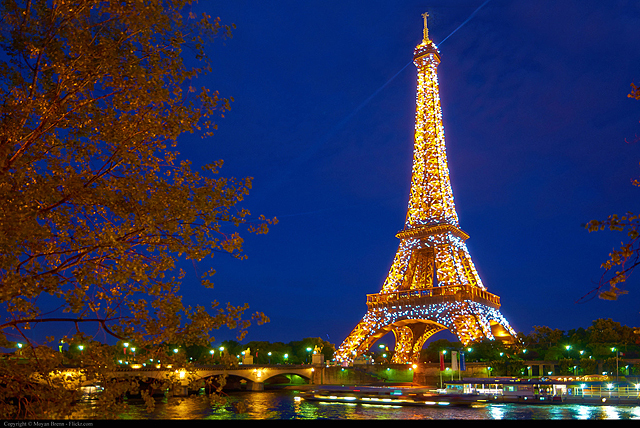 Located on the Champ de Mars in Paris, France, the Eiffel Tower is one of the most well-known structures in the world. It was named after the engineer Gustave Eiffel, whose company designed and built the tower with Eiffel himself paying 80 percent of the tower’s construction costs. 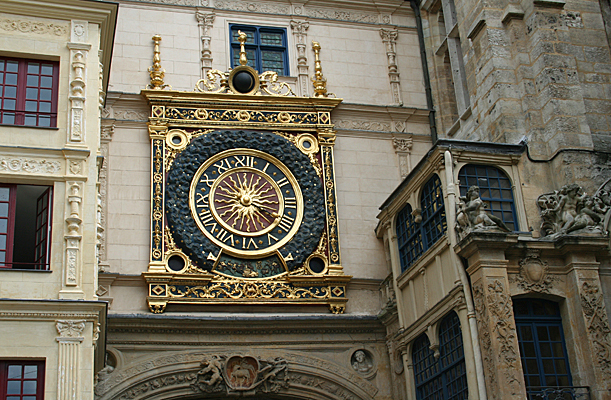 It was originally planned to stand for 20 years after which it was intended to be sold as scrap metal. However, in a bid to save it, Eiffel erected an antenna on top of the tower and financed experiments with wireless telegraphy. The tower proved enviable in sending and receiving wireless messages, particularly for the French military. Today, more than 100 antennae on the tower send radio and television broadcasts around the world. More great shots from Moyan can be found on Flickr. Categories: France, Paris, Photography, Picture Postcards | Tags: architecture, france, Paris icon, Photography, travel, travel photography | Permalink. As I’m sure you are aware Monday, July 14 is Bastille Day, an annual event when the whole of France celebrates the storming of the Bastille Prison and the beginning of the French Revolution in 1789. If you are in France next Monday we’d love to hear about the celebrations where you are. Even better send me some photos! 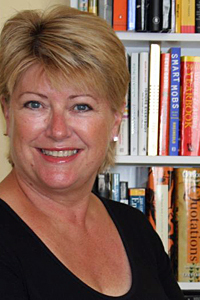 You can email me at Kathryn@GreatEscapes.co.uk. 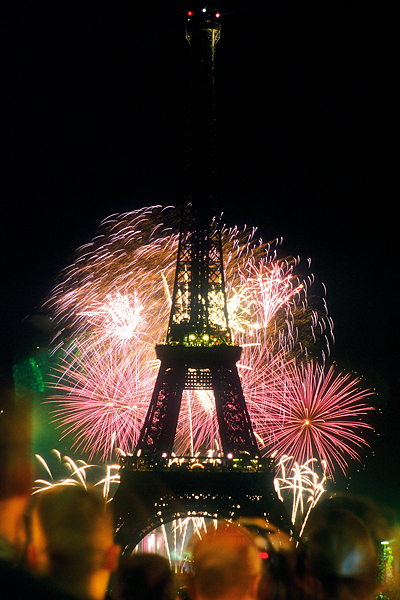 Here are a few highlights of the celebrations in Paris for Bastille Day 2014. 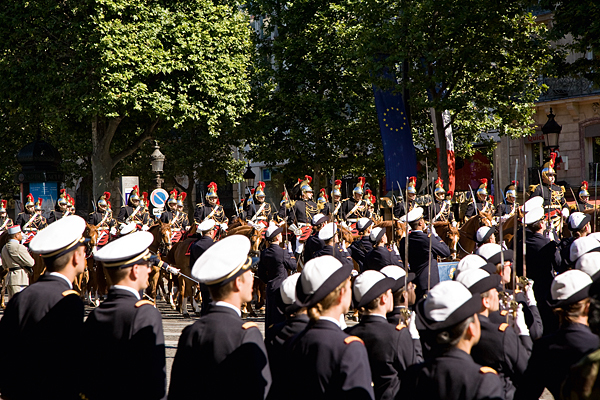 A military parade along the Avenue des Champs-Elysées is the highlight the regiments of the French military, which will parade in the morning. This year’s theme is the Centenary of The Great War. 9.10am Troops, gather at the Place de l’Etoile / Avenue des Champs-Elysées. 9.20am Inspection of the troops. 9.45am Honorary detachments of the Republican Guard take their places at Place de l’Etoile and Place de la Concorde. 10am Arrival of the President of the French Republic at Avenue de Friedland. Welcome by General Pierre de Villiers, Chief of Defence Staff, and General Hervé Charpentier, the Military Governor of Paris. Review of the troops. 10.15am Tribute paid to the President of the French Republic by the 1st infantry regiment of the Republican Guard at Place de la Concorde. Welcome by the prime minister, M. Manuel Valls, the Minister of Defence, M. Jean-Yves Le Drian, secretary of state for veterans affairs, M. Kader Arif and Général Benoît Puga. 10.35am Opening fly-past led by Air Marshal Thierry Caspar-Fille-Lambie. 10.45am Parade of troops on foot led by Brigadier Henry Bazin. 11.25am Parade of motorized troops led by General Marcel Druart. 12 noon Departure of the President of the French Republic. 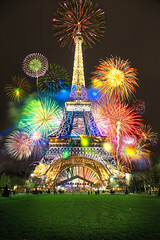 The fireworks will be launched from Bassins du Trocadéro and can be viewed from the Champs de Mars and Trocadéro. 11.00pm: A firework display lasting 35 minutes with the theme “Guerre et Paix”. Numerous firemen’s balls happen each year in stations throughout France, in general starting at 9pm and going on until 4pm. Some have an entrance fee while others are free but have a traditional donation barrel. The money collected will be used to improve the working conditions of staff. A list of balls in Paris and the surrounding regions can be found here. And don’t forget, if you are in France that day (or have been in the past) we’d love to hear about the celebrations where you area and see your photos. You can email me at Kathryn@GreatEscapes.co.uk. 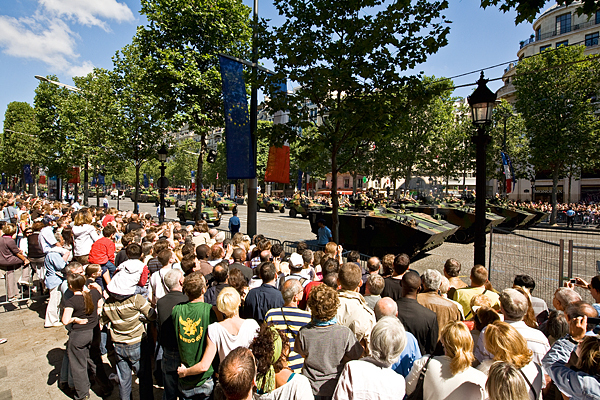 Categories: Festival and events (France), France, Paris | Tags: Bastille Day, france, travel | Permalink. 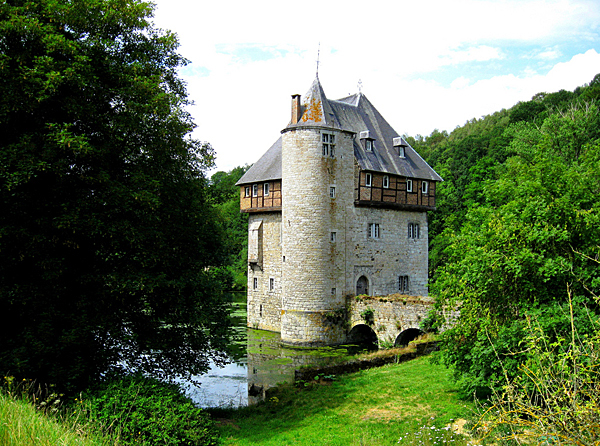 A 13th century castle in the village of Crupet, between the towns of Dinant and Namur in the Wallonia region in Belgium. Although it is now privately owned it is possible to walk around the castle which looks as if it comes straight from the pages of fairytale. 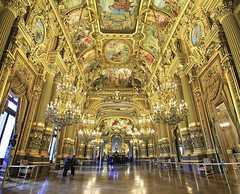 More shots from Henri can be found on Flickr. Categories: Belgium, France, Namur, Paris, Photography, Picture Postcards | Tags: Belgium, Carondelet, Castle, Crupet, Dinant, france, Namur, Photography, travel, travel photography, Wallonia | Permalink.